There are some great new and upcoming smartphones about at the moment from a wide choice of manufacturers although many device owners like to stay loyal to one maker. If you’re a fan of HTC devices then you may be particularly interested in today’s look at the HTC 8X vs. HTC One X in a Windows Phone 8 and Android melee. The 8X is due for release in November while the One X has already been available for some months, so let’s take a look at how they compare. The HTC One X has been a successful Android phone for HTC but we recently discussed how many manufacturers are now looking for alternatives to the Android platform for its next devices. In October Microsoft will be launching the new Windows Phone 8 operating system and the just-announced HTC 8X is the signature handset for the new Windows Phone OS. Both are top-end flagship devices on their platforms and you may already know that you would choose an Android phone. However the new Windows Phone 8 OS is getting a lot of positive press so you may want to consider this alternative. We’ll take a look at the key specs and features of each phone so starting with the HTC Windows Phone 8X we can tell you that it has a 1.5GHz Qualcomm MSM8960 Snapdragon dual-core processor, 4.3-inch S-LCD2 display with 342 ppi, 1GB of RAM, 8-megapixel rear camera with 1080p video capture and a 2.1-megapixel front-facing shooter, also with 1080p recording. It also has LTE connectivity, Beats Audio with an amplified system and a 1700mAh battery. Its dimensions are 132.4mm x 66.2mm x 10.1mm and it weighs 130g. As we’ve already said, this will launch running the Windows Phone 8 OS. Moving on to the HTC One X this also has a 1.5GHz Qualcomm MSM8960 Snapdragon dual-core processor (US version but 1.5GHz Tegra quad-core in other regions) but has a larger 4.7-inch S-LCD2 display with 312 ppi. It also has 1GB of RAM, an 8-megapixel rear camera with 1080p video capture as well as a 1.3-megapixel front-facing camera with 720p video recording, LTE connectivity (US version only), Beats Audio (with no amplified system) and a 1800mAh battery. The dimensions of the One X are 134.4mm x 69.9mm x 8.9mm and it weighs 130g. It launched on Android 4.0 ICS upgradeable to 4.1 Jelly Bean. Although there are similarities then, there are also some distinct differences that may decide which you’d choose as HTCPedia points out. For example the HTC One X has a larger display although the pixel density is less, so for clarity the 8X pips it. However for most people this choice will be down to whether they like a larger or smaller display. Another significant difference is the front-facing cameras with 720p recording on the One X as opposed to 1080p recording on the 8X. HTCPedia notes though that while the 8X can take photos while you’re video recording, with the One X you can take photos while you’re actually watching a video recording and it also has an SLR-type format. Another significant point regards dimensions, as while both phones weigh the same the HTC 8X is somewhat thicker, surprising really as this phone has a smaller display, although the all-round dimensions of the HTC One X are slightly bigger. An extra factor to consider is the actual look of the design and let’s face it, for many people this is a big issue. 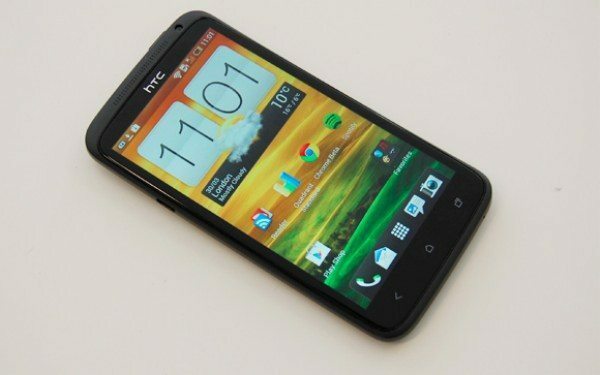 Although the HTC One X is a nice-looking device we think the sleek lines of the HTC 8X are really appealing, although of course this will be very much down to personal preference. Both phones are impressive devices but we’d like to hear which you would opt for, the HTC 8X or HTC One X? Is your choice mainly to do with operating system preference or are there other factors that make you favor one over the other? We’d welcome your comments to let us know. ?? ?According to the HTC site the 8X has an 1800mah battery. That’s not much of a “melee.” I was expecting a point by point comparison. The htc one x does 1080p video capture, this is a crap comparison. I’m also considering migration from Android to Windows Phone 8, and wouldn’t mind that Surface Pro, either. My Galaxy Nexus isn’t bad, but Windows Phone apps are so much more refined (and the UI design is beautifully futuristic, unlike iOS). Plus, the OS as a whole is incredibly fluid.